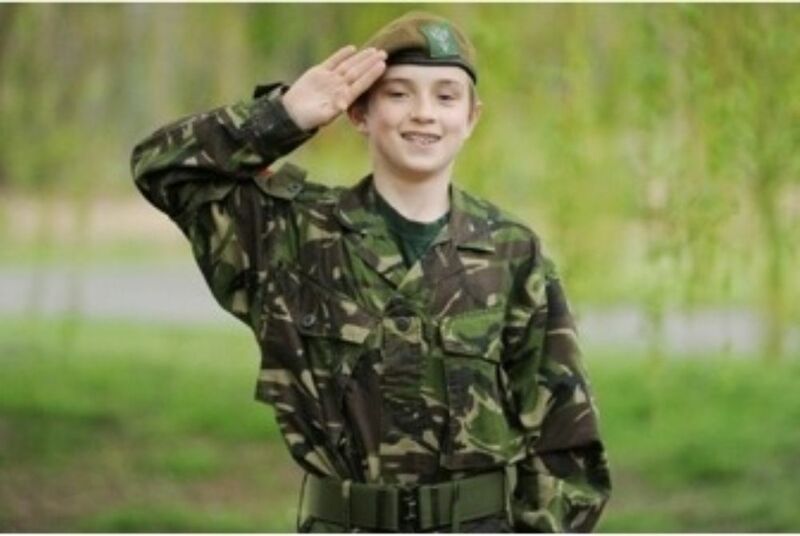 Two young people who learnt their first aid skills with the Army Cadets have been selected as finalists in the St John Ambulance Everyday Heroes awards. Previously named the St John Ambulance First Aid Awards, ‘Everyday Heroes’ is a special awards programme celebrating the incredible heart-warming stories of ordinary people who have used first aid to save a life and the individuals and businesses that have championed the cause, helping to create more first aiders in our communities. LCpl Sam Herbert (pictured), of Phoenix Street Detachment, is one of five finalists in the Guy Evans Young Hero of the Year award category - the most prestigious First Aid award in the country . Held in honour of Guy Evans, who died when first aid might have given him a chance to live, the Young Hero of the Year award recognises a young person who has saved a life with first aid or has made an extraordinary first aid achievement. LCpl Herbert, who gained first aid skills whilst in the Army Cadet Force, was on his way home from his detachment with fellow cadet Jean when they saw a man fall backwards in the street. Seeing that he had an obvious head injury and was unconscious, Sam put him in the recovery position whilst a lady passer-by rang 999. Sam then realised that the injured man was not breathing and, because he was too weak to do CPR (due to having had heart surgery himself), he instructed the passer-by how to commence CPR. Derbyshire police confirmed that the 55-year-old man later regained consciousness and was described as in a "stable condition". SI Kirsty Perry, formerly with Northumbria ACF, is one of five finalists in the High Street Heroes award category, which recognises individuals in a high street store or service who have used first aid or have made an extraordinary first aid achievement. Kirsty and her colleague Dave Morland went to the assistance of an elderly man who collapsed at a Tesco store. They carried out CPR for around eight minutes, with Kirsty continuing to give CPR whilst the paramedics attached an automated external defibrillator. The man’s breathing and heart beat were subsequently restored and he was able to undergo further treatment in hospital.